March is widely accepted as Endometriosis Awareness Month. 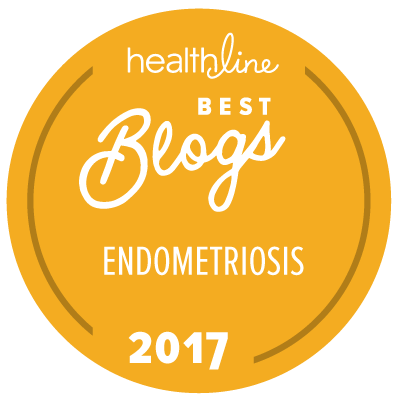 I had thought about blogging as often as possible during the month of March about Endometriosis, but that’s no different than what I normally do 🙂 So, I figured I’d post one big entry about what I’ve learned about Endometriosis since my June 30, 2014, diagnosis (today is February 29, 2016), and have everything in one spot for anyone who may be curious. Any links you see within this text will lead you to more information on the topic, as well as a listing of informative resources. Again, this is based off of my research, my opinions, and my understanding. I’m in no way an expert, but I am a sufferer of Endometriosis. Feel free to take all that you read with a grain of salt, conduct your own research, and talk to your physicians and fellow EndoSisters. Endometriosis is an invasive disease that often causes chronic and debilitating pain, as well as infertility. Tissue that is similar to endometrium (the lining of the uterus) develops and grows inside the pelvic cavity and beyond, causing scar tissue, inflammation, and pain. These growths oftentimes attach to organs and the scarring may weave organs together or impede proper organ function. Traditional treatment options are plagued with side effects and numerous surgeries may be required to improve quality of life. The cause of Endometriosis is unknown, but the growth and activity is often influenced by estrogen, inflammation, and stress. There is no cure and research is ongoing. Endometriosis is a disease that an estimated 1 out of every 10 women suffer from (that’s nearly 176 million women worldwide). There is no age discrimination with Endometriosis; any woman who has her period can immediately be affected. There are even cases where men have developed Endometriosis…and even a report of a German Shepard and monkeys. And just think of all of the money passing hands because of treatments, surgeries, snake oils, medications, co-pays, sick days from work or school…it’s an economic machine. 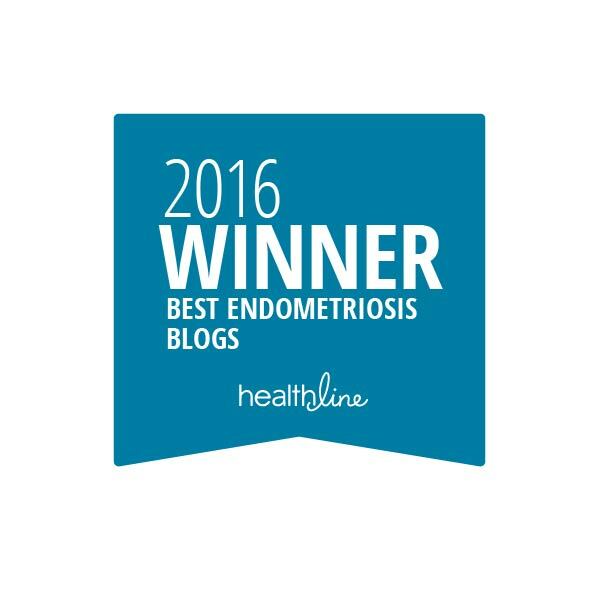 But what is Endometriosis? There are tissues similar to the lining found within the uterus that develop and implant themselves outside of the uterus. They act like the lining of the uterus: they thicken, contract, cramp, and shed, but unlike the uterus, the blood and tissue cannot exit the body. So it collects, sticks, and fills. It can cause extreme pain and havoc within the body, as well as bleeding and/or adhesions (scar tissue) which can pull organs out of place, or weave them together. It is most-often found on the reproductive organs (uterus, fallopian tubes, ovaries), but can also wander outside of the pelvic cavity to pretty much anywhere within the body. For the short list of odd places, it’s been documented on the liver, pancreas, diaphragm, spine, intestines, bladder, urethra, kidneys, lungs, heart, brain, eyes, skin, belly button, c-section scars, cervix, sciatic nerve, etc. The implants can vary in color, ranging from clear to pink to red to brown to black. It is usually classified under four stages (Stage I – IV), with Stage I being the least-diseased and Stage IV being the worst. The interesting thing is a woman may have Stage IV Endometriosis, yet suffer from no pain, but a woman with Stage I may have excruciating pain. Although Endometriosis isn’t fatal, there have been deaths because of it. One Swedish young woman died from an infection caused by a bowel blockage, which was caused by her Endometriosis. And women take their own lives, unable to live with the pain and consequences of this incurable illness. There is help for suicidal Endometriosis suffers – women who care, support groups, online forums. Not one more death, please. Stress has also been linked to the development of Endometriosis. Some believe that sexual abuse/molestation may even lead to Endometriosis for similar reasons. I also strongly believe that Endometriosis may be caused, or at least affected, by a combination of these theories. One day they’ll figure this out…bringing us one step closer to a cure. Rarer symptoms may indicate the presence of Endometriosis on your spine, brain, lungs, or heart. These symptoms may include headaches, dizziness, seizures, collapsed lungs, coughing up blood, upper abdominal/chest pain, shoulder pain, neurological damage, partial paralysis, or even unexplained bleeding from the eyes or nose. Please be aware that each of these symptoms may be Endometriosis-related, or they may be something completely different, or a combination of issues with the body. If you suspect you or someone you know may have Endometriosis, talk to a physician. And don’t assume it is, or isn’t, Endometriosis. A lot of women only suffer from their symptoms during their periods; however, many women also have these symptoms 24 hours a day, 7 days a week. And still there are some women that never have any symptoms, yet through a routine surgery learn they have Endometriosis. Physicians and surgeons refer to this as Silent Endometriosis. The medical community does not know why some women have no pain, others suffer once a month, and yet others suffer constantly. Each case of Endometriosis is as individual as the person who has it. What is a Normal Period Like? Diagnosing Endometriosis can be a tricky and difficult task. Many women go 8-10 years without a diagnosis, bouncing from doctor to doctor, receiving either no guidance or multiple misdiagnoses. Others are purely brushed aside, accused of being pill-seekers or told their pain is normal or it’s all in their head. Not every doctor is qualified to diagnose, remove, or treat Endometriosis… some haven’t even heard of it, even in this day and age. The non-surgical tools that may help lead to an Endometriosis diagnosis include taking a detailed medical history (focusing on symptoms around a woman’s period), a pelvic examination, ultrasounds, MRIs, and CT scans. These scans may detect ovarian cysts, which can be an indicator of Endometriosis (60% of women with Endometriosis suffer from ovarian cysts). These tools may help point your doctor in the right direction, but may not lead to an actual diagnosis. Many doctors who suspect Endometriosis will suggest pharmaceutical treatments to suppress the symptoms without even confirming the presence of the disease! The Golden Standard of diagnosing Endometriosis is having a surgery to actually see the implants, remove (or destroy) them, and have them biopsied. The pathologist will confirm if the removed implants are, in fact, Endometriosis. There are, however, high hopes for the development of blood and tissue sample tests to help diagnose Endometriosis. There are several ongoing studies which are hoping to isolate biomarkers or other indicators of the development, or recurrence, of Endometriosis growths within the body without having to resort to surgery. There are a few choices available with how to treat and manage Endometriois pain and symptoms. Pain Medication/NSAIDs: prescription pain mediation or NSAIDs (non-steroidal anti-inflammatories) to help temporarily manage the pain. These may, or may not work, and usually come with side effects. Birth control pills/implants: many women with Endometriosis control their symptoms with birth control pills, injections, IUDs, or implants. These may help alleviate period symptoms, or suppress them altogether, by reducing hormone production and levels. GnRH agonist: these shut down the body’s production of certain hormones, throwing a person into chemical menopause. The most common you’ll hear of is Lupron Depot, which is highly controversial among EndoSisters, and is often used to treat prostate cancer. It’s not an easy treatment to endure. Aromatase inhibitor: Femara and Letrozole are common aromatase inhibitors, generally used to help treat breast cancer. The hope is to block aromatase production and decrease the spread and symptoms of Endometriosis. Like Lupron Depot, this is not an easy treatment to go through. Infertility treatments: many women wishing to create families are struck with infertility because of Endometriosis. Many are able to become pregnant shortly after an excision surgery; however, many are also not able to become naturally pregnant. So, IVF and infertility treatments come into play. Women are even opting to freeze their eggs and undergo frozen embryo transfers. However, many women who are successfully impregnated are still at a higher risk of miscarriage because of Endo. Surgery: as mentioned earlier, surgery is considered the way to go to treat Endometriosis. This can either be done by a laparotomy, a laparoscopy, or a robotic-assisted laparoscopy. Each surgery boasts of it’s own pros and cons. And many women require multiple surgeries in their lifetime. You have two choices when it comes to Endo and surgery: excision (cutting OUT the lesions) or ablation (burning away the lesions). Excision is considered by many to be the best course, since burning may lead to scar tissue and faster recurrence. Eastern medicine: many EndoSisters claim of symptom relief through Eastern medicine, herbs, massage, and acupuncture. Functional medicine: I’ve heard a lot about functional medicine, honoring the body’s rhythms, and detoxing. I know of several EndoSisters who have chosen to follow this path, had years of relief, but their pain returned and they required further surgery. But I’ve also heard of several women who claim 100% relief by functional medicine. The Wurn Technique: this technique claims many women have shown signs of relief and improvement from Endometriosis after several sessions. Physical therapy/pelvic floor therapy: some women claim relief after physical therapy and/or pelvic floor therapy. It may help strengthen and loosen the muscles of the pelvis, helping with painful “frozen pelvis” symptoms, or it may loosen adhesions which are causing pain. A very important, and often neglected, instruction for anyone on certain medications is to please wear sunscreen. Stripping your body of it’s ability to create certain hormones may also strip it’s ability protect you from the sun. Again, what works for one person may not work for another. What gives one woman her quality of life back may make it worse for another. The choice will always be yours. Never be bullied by physicians, friends, or even family. And at some point, you may decide to go that next step in treatment. Be your own advocate. No. There is no cure. Not yet, at least. A doctor may tell you that a hysterectomy will cure your Endometriosis. Please know this is not true. It may help with the symptoms of your period, but Endometriosis lives elsewhere in your body; not just on your uterus. Even if the surgeons opt to remove both of your ovaries, your body creates estrogen in other ways, which may continue to spread the disease. I have heard from many, many women with hysterectomies that their Endometriosis pain has continued, and they’ve undergone several excision surgeries since their hysterectomy. The same goes for menopause – there are still some women who continue to suffer from the Endometriosis long after menopause. Many women who have had surgery to remove their Endometriosis implants and adhesions complain of recurring symptoms within 1-5 years. And, once again, the only way to confirm its recurrence is to conduct the same diagnostic tests (and ultimately surgery) as mentioned above. Most women with Endometriosis will have numerous excision surgeries in their lifetime. These recurrent tests and surgeries cause many women to suffer from “scanxiety,” a term used to describe the anxiety and fears before diagnostic tests…a fear of the outcome…a fear of Endo’s return and the consequences it may cause. Many surgeons claim they are Endometriosis excision specialists, who are so skilled and practiced in removing Endometriosis that they can remove the source of your pain and offer the hopes of no future surgeries. For many patients, these surgeries give them back their quality of life. For some, even the most skilled of surgeons cannot remove all of their Endometriosis or symptoms. That being said, though, these specialists are more-skilled than the standard gynecologist or regular surgeon in recognizing and removing Endometriosis implants, giving women a greater chance at a lesser-recurrence of the disease. How to Find a Specialist in My Area? There are several well-known Endo excision specialists scattered across the US. Some names sound familiar : Dr. Cook, Dr. Nezhat, Dr. Seckin, Dr. Sinervo. But what if you aren’t in one of their states? What if you can’t afford their services or the travel? Are you doomed to wander the world lost and in pain? No! You can take steps to find someone in your area who knows more about Endometriosis than the average Joe Blow. It may just take some time and effort. I’ve compiled some pointers here. Good luck! And…if you find yourself near the San Francisco, California area for a surgery and are looking for a place to stay, consider The Endo Inn. The cost? NOTHING. The hosts? Amazing! If you do go in for a consultation and have a surgery scheduled, here is a list of questions you may want to ask, as well as a list of Tips & Tricks that may help during your recovery. Can Diet Help with Endometriosis? As unique to each woman that this disease is, some women claim that watching what they eat or drink has helped with their symptoms. Have you heard of the Endo Diet? Cutting certain foods may help reduce your body’s inflammation, which may be a big trigger for Endo flare-ups. If you’d like to try it out for yourself, pick one, cut it out of your diet for three weeks, reintroduce it, and see you how feel. Then pick the next one and repeat the process. Keep track of your food and symptoms in a journal. Learn your food triggers, if any. Some women have cut out some (or all) of the following items (click on the links for more info as to why it may encourage Endo symptoms): red meat, dairy, gluten (especially if you have a sensitivity or suffer from Celiac Disease), caffeine (this includes chocolate), sugar (and more here), eggs, alcohol, and soy or soy-based products. There are also things you can eat or drink more often that may help fight your symptoms. For instance, I enjoy a tea almost every night made of water, lemon, honey, and ginger. It’s important to also drink plenty of water and to properly chew your food – anything we can do to help ourselves. And while I’m sounding like you’re mother…stand up straight (it helps)! And, as a sidenote, every physician I’ve asked “can diet help Endometriosis,” they’ve always responded with “it can’t hurt!” So why not give it a try? Are There Endo Events Where I Live? There are Endo events all over the world! I’m trying to stay on top of them all and keep an ongoing list here. And if there isn’t one in your area, you can make one…even if it’s just you and a few friends wearing yellow walking around your city park or main street holding up posterboards – you can do this. Suffer from Endometriosis and feeling helpless? Try one of these – we can do great things together! Spread awareness. Don’t be afraid to talk about this disease. There are a lot of books available regarding Endometriosis. I have collected and read several, which I would like to make available for you to borrow and return. Please feel free to access my library of books here, check one out, read it, and return it. If you would like more information regarding Endometriosis, please check out these organizations that are dedicated to bringing the world together, educating the medical and laymen communities, and one day finding a cure! Great article, wish I’d read this years ago when I was diagnosed. This is a really good, informative introduction. I’m still learning new things about endometriosis. One other thing to add, is that one treatment may work for awhile, but then as you age, it gets less effective, so you need to be monitored by a specialist & keep trying different treatments. Thanks,but ineed know more this desease but i dont knowing very well english.i know swahili languege.i think i have this problem endo…. Hi Mariam. Were you ever able to talk to a doctor about a surgery?